We love news like this—another company updates their software for Mac OS X Lion, Apple’s new operating system. This time the company doing the update is Sonos for their easy-to-use home music system. And, yes, we’re big fans of Sonos. Though the inconveniences caused by Lion were a major problem for many. It has taken a long time but the Sonos software is now Lion friendly. When Lion came out in July, Apple substantially changed the way shares work, and the popular Sonos home music system depended on theSMB protocol to share with your iTunes library. In Lion, Apple moved to a proprietary method, and that started the problems and caused a lot of anger among Sonos owners. Streaming services like Pandora, SiriusXM, or Spotifyworked fine, but you couldn’t get access to you own music if you had your files on your main computer or an external drive. Some people had their music on a Network Attached Storage device, or NAS, but Lion broke some of those as well. I’ve tested the Sonos update, and it does the trick, which will make music starved Sonos customers happy. 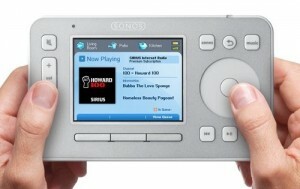 If you are using the iOS Sonos remote apps have an update today as well. Happy listening. So there you have it. Another software update for Lion compatibility. Were you using Sonos? Or is there other software you’re using that not working well with Lion? « Mac OS X Lion: Server bug discovered with Windows XP and Windows 7.